"The Smart Battery Case is compatible with AirPower Wireless Charging Mat and other Qi-certified chargers," a Malaysian product page reads as of Wednesday morning Eastern time. On Apple's U.S. site, the equivalent page says simply that the case is "compatible with Qi-certified chargers." The reason for the discrepancy is uncertain, but the culprit may be older marketing copy, in which case Apple was apparently expecting AirPower to already be available or ship alongside the new cases. Apple first teased the AirPower at a fall 2017 press event, intending it to complement its newfound Qi support in the iPhone 8 and X. The company even gave the press hands-on time with the accessory, promising a 2018 launch. As the year progressed though the company said virtually nothing about the product, sometimes outright refusing to comment to media outlets, AppleInsider among them. By the time the iPhone XS and XR were revealed Apple had practically wiped all mention from its website, fueling speculation that the company couldn't make the technology work and was simply abandoning it. The iPhone XS did ship with mention of the AirPower in its user guide however, and by mid-January manufacturing partner Luxshare Precision was reported to be going into production. Luxshare also produces some of Apple's AirPods and USB-C cables. Apple may have been held up by heat, mechanical, and interference problems, such as interdevice connections to communicate battery level, and its use of up to 24 power coils. The same rumor pointed to a spring 2019 release date at the earliest. 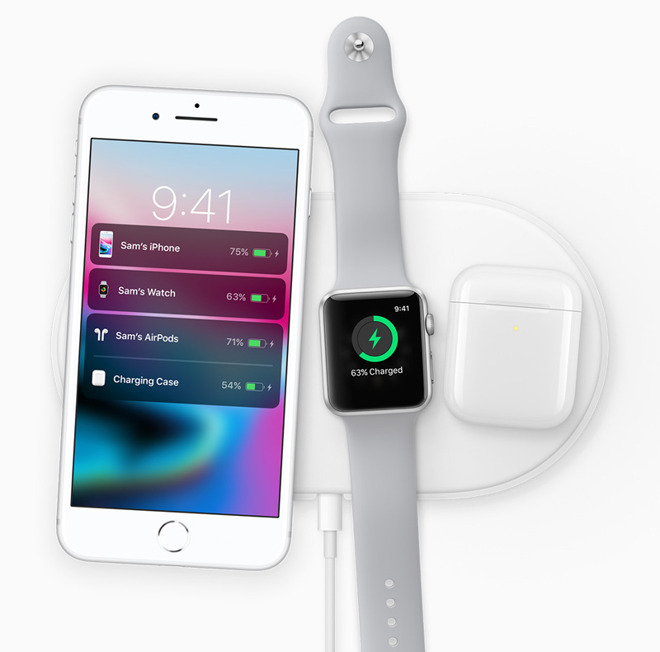 Update: Apple has since removed the AirPower reference from its Malaysian webpage.